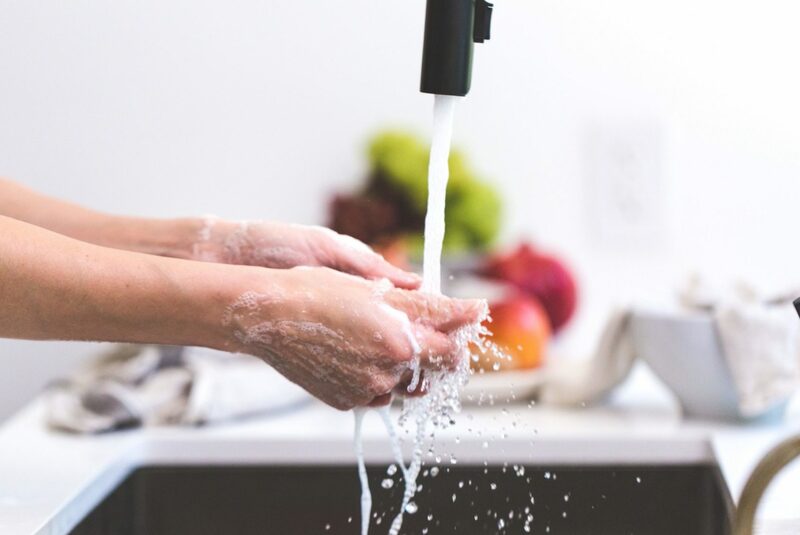 A study conducted by Professor Donald Schaffner and researchers, at Rutgers University, has proven that cold water removes the same number of harmful bacteria as hot water. Researchers placed high levels of harmful bacteria, multiple times, on the hands of 21 volunteers over a 6-month period. Each time the volunteers were required to wash their hands in 15℃, 26℃ and 100℃ water temperatures. The amount of soap used also varied as they were given either 0.5ml, 1ml or 2ml volumes of soap. Professor Donald Schaffner claimed that the results of the experiment proved that the temperature of the water “didn’t matter”. Considering that cold water saves more energy than hot water, the results of this study may prove to be advantageous towards water energy conservation. Another finding from this experiment verified that by washing for 10 seconds significantly removes bacteria from hands. Elkay has been making innovative products and delivering excellent, domestic customer care since 1920. Headquartered in Oak Brook, Illinois, Elkay expanded its commercial offerings over four decades ago, and today delivers world-class sinks, faucets, foodservice fixtures, water coolers, drinking fountains and award-winning rapid bottle filling stations. In 2015, they introduced new features to the popular ezH2O bottle filling stations that save facilities energy and maintenance time. Drinking Water Fountains provide access to a comprehensive range of Elkay drinking fountains on a purchase basis. We also offer ongoing maintenance contracts, water filter changes and call-outs to repair faulty parts. All these services form part of our Total Fountain Care packages. Drinking Water Fountains holds a full range of spare parts for the Elkay range. We can provide customers with a full installation service for fountains nationwide. Please use our contact form to make an inquiry or alternatively call us on 0845 500 4455. We have fully trained staff ready to take your call and advise which drinking water fountain is most suitable for your needs.